Tourism & Transport Forum Australia (TTF) is the peak industry group for the Australian tourism, transport and aviation sectors. A national, member-funded CEO forum TTF advocates the public policy interests of leading corporations and institutions in these sectors. Tourism & Transport Forum Australia (TTF), originally the Tourism Task Force, was established as a not-for-profit company in 1989 to provide a strong voice for the tourism and aviation sectors in the wake of Australia’s devastating pilots’ strike that year, and to address a number of major issues impacting the industry at that time including a reduction of the Australian Tourist Commission budget, the investment malaise affecting hotel ownership and the political inertia governing the development of Sydney Airport’s third runway. Under the chairmanship of former federal Tourism Minister, the Hon John Brown AO, and with the support of TTF’s first CEO Susan Hunt, TTF immediately bolstered the industry’s fortunes by securing funding of $23 million from the Hawke government for a campaign to boost domestic tourism after the pilots’ strike. Over the following years, TTF built on its early successes and secured its position as the country’s peak advocacy group for the tourism, aviation, transport and investment sectors. In 2002, John Brown retired from TTF and was succeeded by Australia’s most distinguished business leader in airline and travel distribution, Leslie Cassar AM. TTF’s charter was expanded to better embrace aviation and transport. 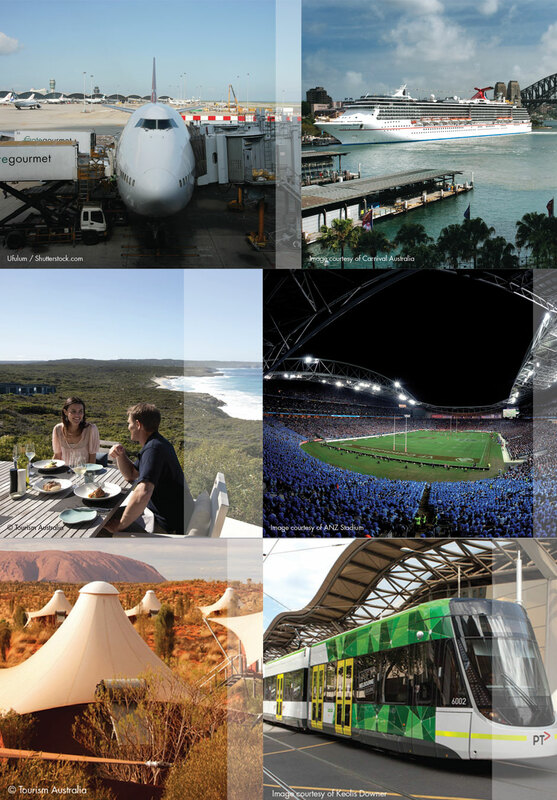 The following year, TTF rebranded and became the Tourism & Transport Forum Australia to reflect this new direction. Former NSW Minister for Tourism & Roads, Transport and the Sydney Olympics Bid, the Hon Bruce Baird AM, took over the chairmanship between 2008 and 2014. Mr Baird was succeeded by Katie Lahey AM who is the current chair and leads the TTF Advisory Board. $61 billion in economic value-added. in visitor spending over the next decade. – the most of any region in the world.